Madhya Pradesh Professional Examination Board (MPPEB) High School Teacher (TET) Exam Date notice has been released. 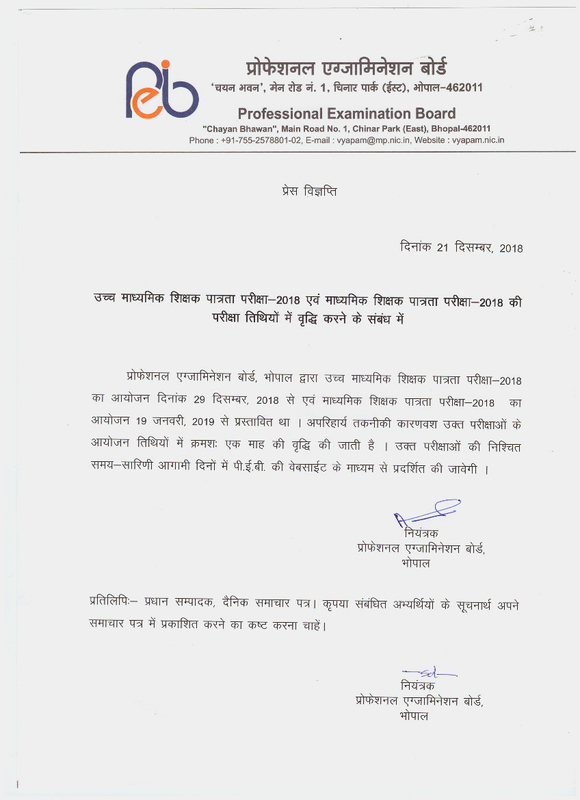 MPPEB released new notice regarding MP TET revised rules and exam date. Candidates can download Admit Card for the exam through the given link. You can also download fresh notice in PDF format. Master Degree in Related Subject with Second Division Marks and Passed / Appearing B.Ed Exam.